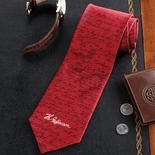 Flags from the first decades of the United States adorn this handsome pure silk tie. 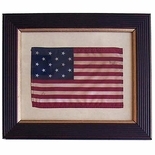 Interesting variations in stars and stripes prevailed before the design and proportions were standardized in 1912. 3 5/8"w.